To say it is everything one expects – and more, much more – is sheer understatement. 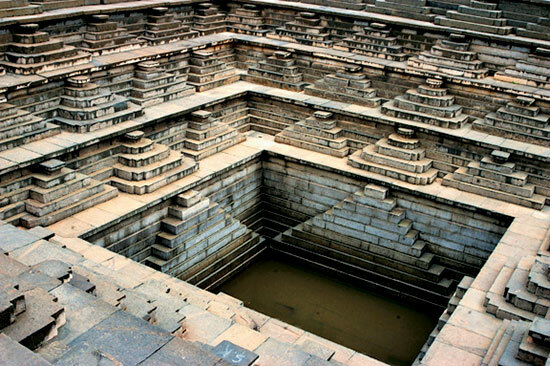 Few places on the planet must be as mind-numbingly beautiful as Hampi in central Karnataka. Nestled beneath a dramatic landscape of rugged boulder-bejewelled hills, the magnificent temple and palace ruins of South India’s flourishing 14th to 16th century Vijayanagara kingdom, stun visitors like us. That would be the six of us. A gang of like-minded gal pals, who revel in discovering the delights of medieval Mandu, frescoed Ajanta and similar marvels strewn around our remarkable country. We always return awestruck, vowing to board international flights less often. How we manage timing this sojourn is nothing short of miraculous, given that we juggle two kids each and careers diverse as they come. There’s archi-tect Hema, pathologist Rupa, psychoanalyst Micky, publishing sales manager Almitra, lecturer in advertising design Monica and writer, yours truly. Admittedly a motley bunch of travelling companions, yet Hampi is our unanimous choice. Armed with books and Shyam Benegal’s film documenting the site’s splendours, we chatter at the start of the short drive from Hospet station – after an overnight train trip preceded by the Mumbai-Bangalore flight. But a hush descends as we begin to feast on the gradually un-folding scenic changes. Nothing prepares you for that magical first look Hampi weaves. It is, quite simply, a sight to die for. Right enough, Hema and Monica moan they’ve been chumps, that they should’ve packed sketchbooks to capture strokes of the sweep of boulders looming large every which way we turn. Giant grey and pink granite rocks bordering the Tungabhadra which traverses the terrain northeasterly, these form a grand geological leitmotif. Their impact is instant, stupendous, silencing. Awesome in size, shape and spread, they wow pilgrims and tourists alike. Glinting in broad daylight with sun-caught beams or silhouetted sparkling silver in moonbeam brilliance by night, the weathered stones have a life all their own. Silent sentinels for the most, they seem to sometimes speak eloquently. 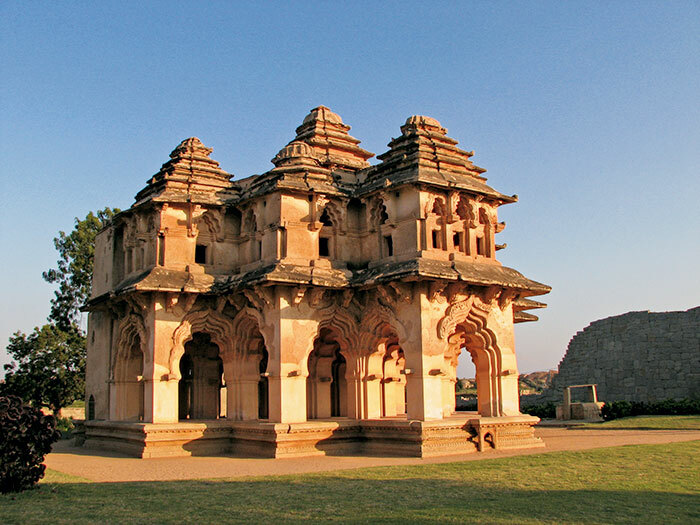 Of a flurry of activity, regal and practical, that governed Hampi in its heyday as the seat of the Vijayanagara empire’s Sangama, Salva, Tuluva and Aravidu dynasties – until sultanate invaders pillaged it for six months in 1565. Like other visitors, we are pleasantly surprised to still see much stone-cut architecture intact, despite the plunder. The ruins are unimaginably evocative. Contradictions abound. Here lie reasonably preserved reliefs showing penance amid pomp, meditation among merrymaking. This is where austerity greets royalty, the sacred marries the secular. Trust the bunch of us to create our own version of ‘mundane meets monumental’. In the middle of admiring Achyutaraya temple which moves Hema, the Sufi among us, to commune with the gods shut-eyed, the calm air is rent with Rupa’s phone conversation. Creditably, she tries to keep the tone low as she discusses domestic drudge, so her cook only falteringly hears her ask why her 10-year-old hasn’t finished her favourite potato snack at school! A highlight of our three-day adventure is a coracle ride across the Tungabhadra River to Anegondi, where we have cottage accommodation at the charming Wild Grass Hotel run by Farah Vakil. It’s a novelty rowing slowly in this small, soft-bottomed boat of bamboo strips, tar and tarpaulin. Villagers weave this deliberately light; while a heavier boat might hit a maze of underwater rock, a coracle gently skim-bounces off the surface and glides on. Apart from settling us in intimate little rooms crowned by white swathes of shamiana-style drapes, Wild Grass serves delectable dinners cooked by villagers who deliver it by bicycle mere minutes before the food melts in our mouths. For lunch, The Mango Tree is a noon hang-out we grow to love, as much for its wonderful thali washed down with cool ginger-lemon lassi as for the breathtaking valley view fanning out below. It’s a sultry morning when we explore the temple precinct, renowned for florid ornamentation on perfectly proportioned pillars as well as within every sanctum sanctorum. The heat beats on our backs but is barely a deterrent for us winding up tricky rock climbs or down dizzying step-wells. How hungry we are to savour every inch of sculpted space recording the range of formal and ceremonial events dictating daily life in this imperial city five centuries ago. Stately pavilions, vast courtyards, queens’ baths and once bustling bazaars boast a veritable wealth of iconographic motifs from Hindu mythology. 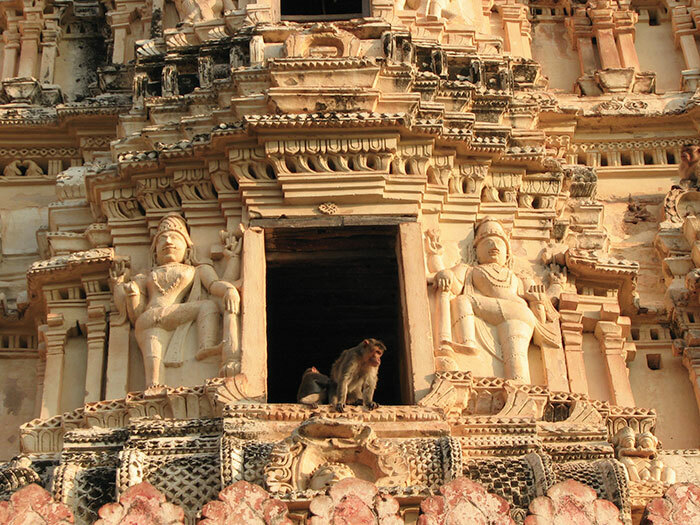 Linked with important episodes of the Ramayana, Hampi is considered the forest domain of the monkeys, Kishkindha, and is replete with references from the great epic. Intricate clock-wise carvings in the Hazara Rama temple depict traditional scenes from Ayodhya, an Anegondi temple is the believed birthplace of Hanuman, the natural cleft between two granite boulders marks Sugriva’s cave and Malyavanta Hill is supposed to have sheltered Rama and Lakshmana during monsoons. Several structures are startlingly lifelike – the Garuda shrine in the form of a famous chariot at the Vitthala temple still appears ready to roll into battle… then, its embellished wheels actually moved. As Basva also explains, an integral part of the Hampi experience is the cosmopolitan richness its array of sculpted allusions presents. Hampi hosted Muslims and Europeans in a steady cultural interflow. Eclectic influences include sculpted evidence of Portuguese musketeers helping King Krishna–devaraya militarily, sultanate-inspired cavalry techniques borrowed by Vijayanagara armies, typical Persian jackets and pointed caps worn by noblemen, and hybrid elements of Hindu and Islamic architecture gracing buildings like the Lotus Mahal. Less lured to awaken at the crack of dawn on a holiday, Micky and I prefer sleeping in. We admit to wistful sighs, though, over shared accounts of the others’ early morning ascent. They’ve witnessed a supremely serene sunrise from the vantage point of Virabhadra shrine atop Matanga hill, possibly the best 360-degree lookdown onto the sprawled layout of the sacred centre, royal quarters and irrigated valley. The following day’s walk in the palace complex entirely enchants us all. The kings’ viewing platform overhangs a parade ground conjuring images of gorgeously caparisoned musicians, acrobats and court jesters against a colourful backdrop of sumptuous feasts and fireworks. Completing the picture of pageantry, elephant stables stand neatly along the east in an imposing line-up of eleven chambers, each of which housed a pair of royal pachyderms. 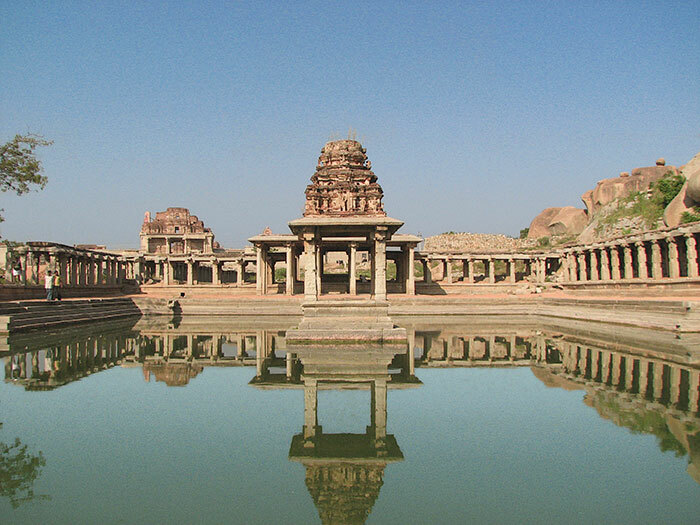 In 1986 Hampi was inscribed on UNESCO’s list as the world’s largest living heritage site. 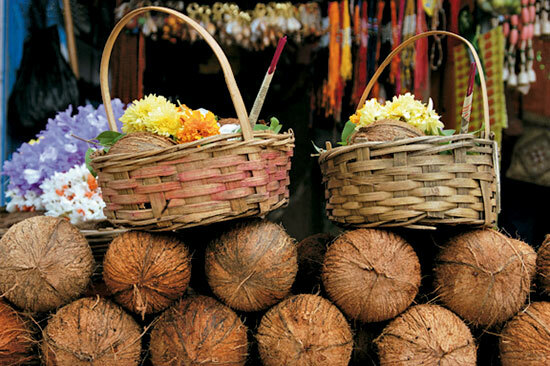 It offers a thriving example of this in the Virupaksha temple which flanks the main Hampi market. We file in barefoot to the clang of bells and faithful families chanting prayers, heads bowed before thickly garlanded deities. Clusters of cows and goats roam free with foreheads smeared an auspicious vermilion even as mendicants beg at the gate. 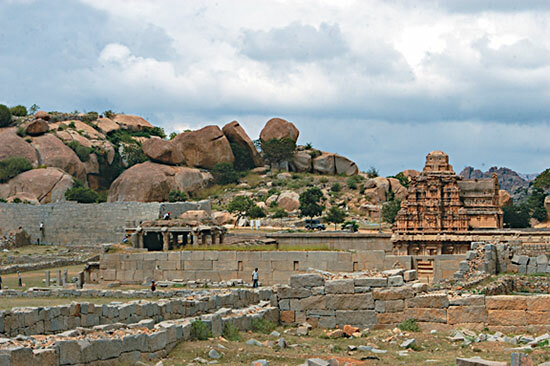 Sadly, as John Fritz and George Michell write, in a definitive text on Hampi, neither the Archaeological Survey nor the Karnataka government is equipped to patrol and protect the critical 25 square kilometres of historic treasures. We don’t dare dream of a spoilt or lost Hampi, close curtains on a civilization celebrating every aspect of life as artistically as the one we have enjoyed. Unusually quiet on our journey back, we’re scantly surprised to learn that each of us plans to return.